Ending the first week in 2018 in this stylish casual-chic outfit of the day. 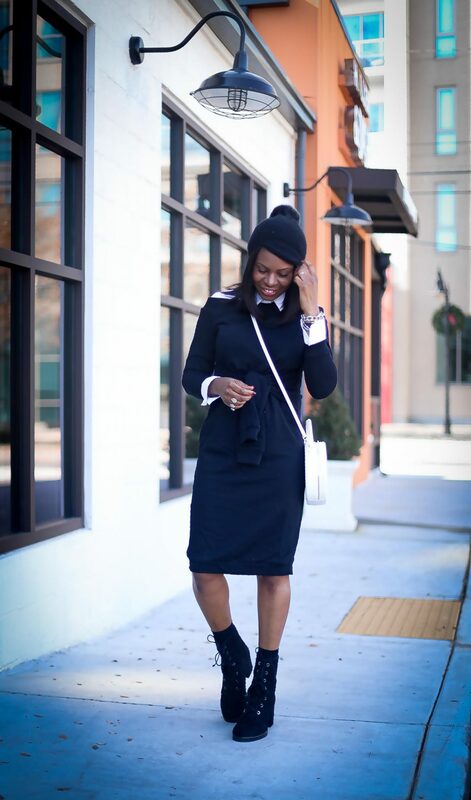 I love season-less, timeless pairing of black and white. Sweatshirts dress are meant to be casual, and comfortable. They are not dressy, and hard to dress up. The same goes for combat boots. To give these two casual pieces a chic appeal, you have to match these items with classic pieces. A white shirt is a classic item, and in my opinion everyone should have multiples. A white shirt can literally transform an outfit, and it does just that in this look of the day. 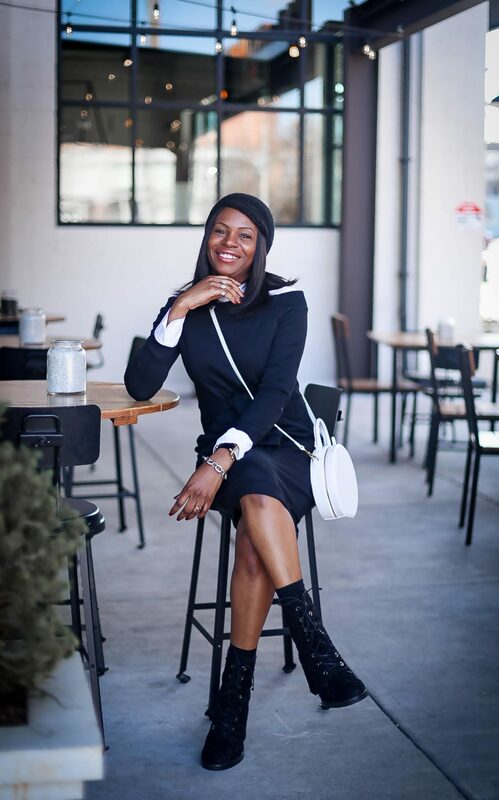 By marrying this casual tie-front sweatshirt dress with a white shirt, the look of the dress is instantly transformed, creating a stylish street-chic look. Although the silhouette of combat boots are casual, the tweed fabric on this pair adds interest to the boots. 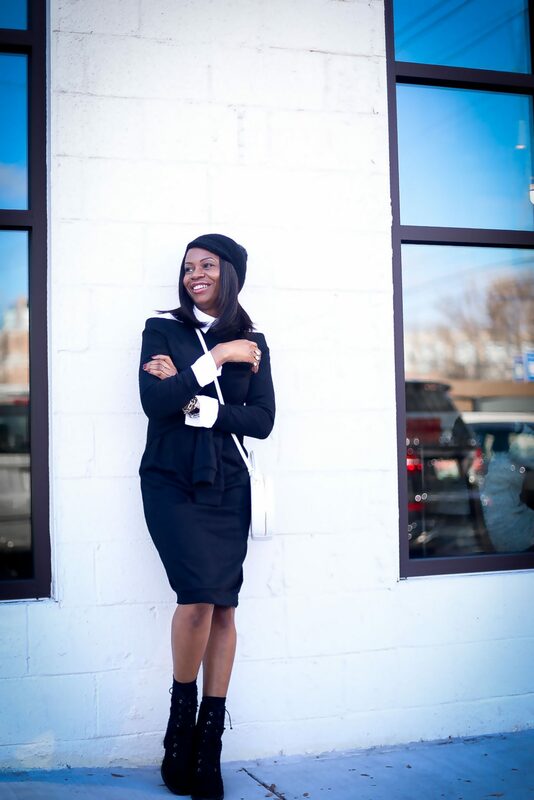 Tweed is a classic cloth, and in this outfit lends a chic vibe to the look. Introducing a white bag to the outfit compliments the white shirt. Lastly a beanie with fox fur pom detail completes this weekend, making this the perfect casual -cool look to rock this cold winter weekend. 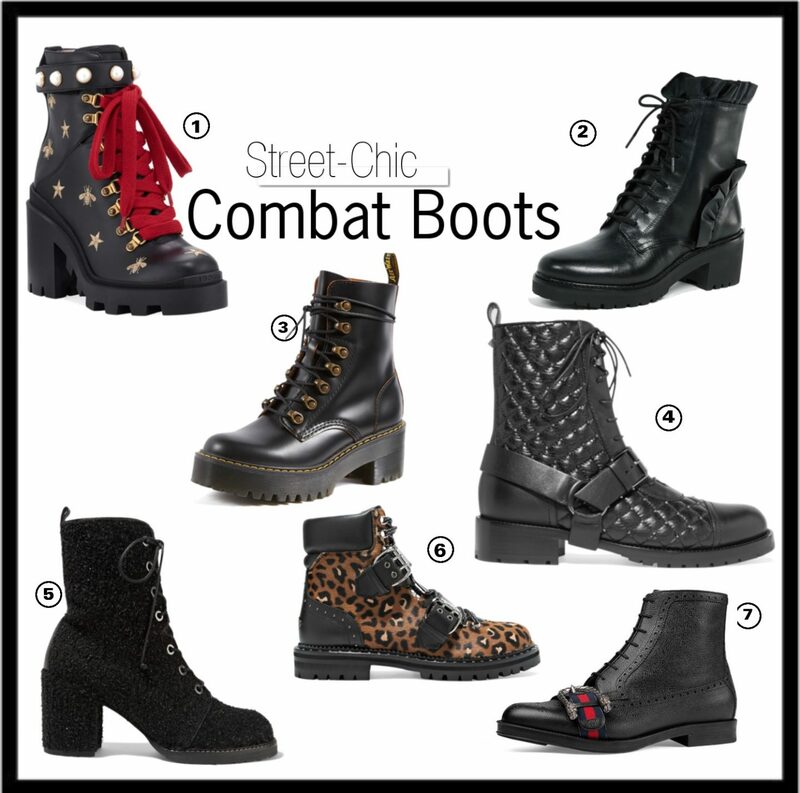 The cool thing about the modern combat boot is that it elevates your outfit. The new military boot is sleek, with embellishments, and comes in all different materials. Because I absolutely love the comfort and the style of this boot, I have picked a few favorites for you to add to your outfit of the day. Any one of these boots will instantly add a stylish twist to your look.